Daniel Jay pulls a spectator up to help him with his act. Daniel Jay performing at his High School talent show with Ziff. A younger Daniel Jay and Ziff (Ziff never ages) performing at a High Rise in Warren, Ohio. Daniel Jay performing at I-fest with Fuzzball. He has since, had to get a new Fuzzball. A drawing that comes to life! Daniel Jay at a young age with his first puppet he ever performed with. He did a talent show and sang like Tiny Tim, "Tip toe through the tulips". He took 3rd place. Daniel Jay and Mortimer Snerd. His Grandma Smith called the puppet Herkamer. 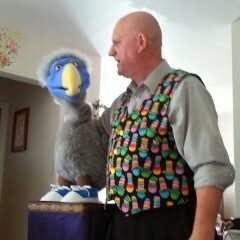 Daniel Jay and his first professional ventriloquist dummy. His father bought it for him from Abbott's Magic Company in Colon, Michigan. His name was Elmer. Lastest picture of Daniel Jay and the gang, Ziff, Slate Asterisk, Gill the Bird and Fuzzball the cat. 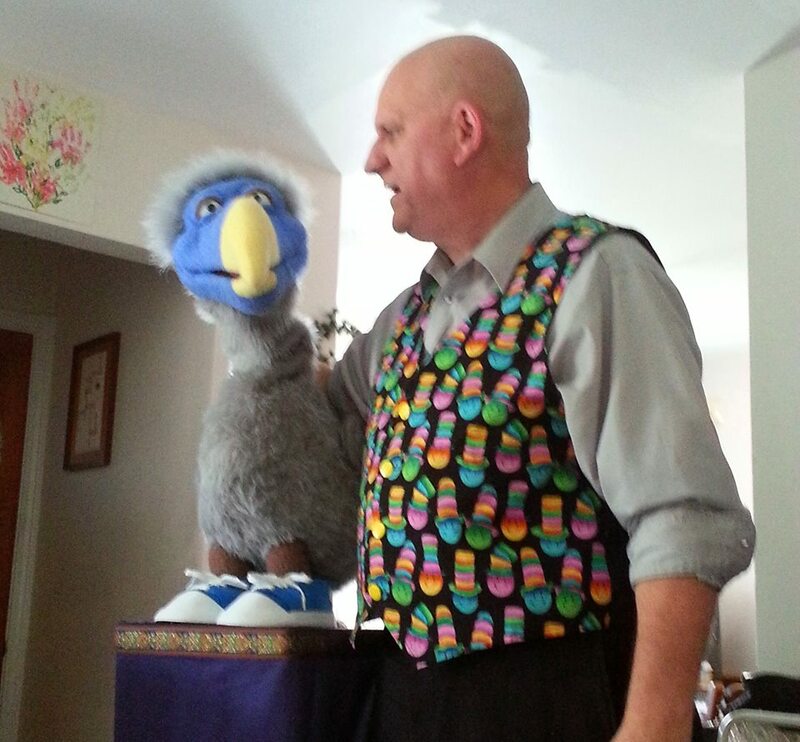 Professional Ventriloquist that provides a unique form of entertainment that uses both ventriloquism and magic to bring laughter and enjoyment to young and old alike. For company and family events as well as any church events. Daniel Jay can cater a routine to your group. Performing for the area for more than 40 years, Daniel Jay brings a cast of characters to brighten up your event. 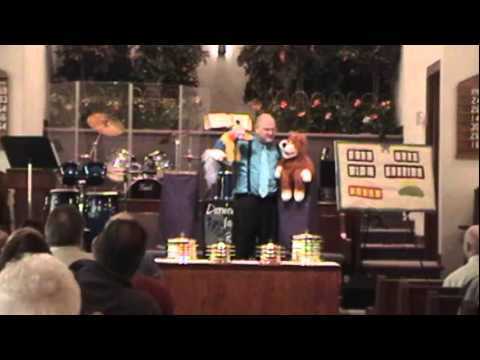 A typical ventriloquist show includes two of Daniel Jay's puppets and a novelty ventriloquist skit as well as magic with assistants from the audience. Churches get magic with a message. Also close-up and walk around magic available. Well Received and Great to work with! 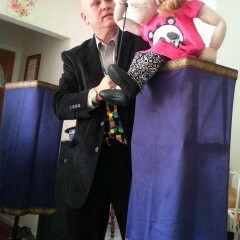 Daniel is a rare, quality ventriloquest and illusionist. The kids loved him, and so did the adults. He was willing to adjust to our schedule and interracted well individually and before the crowd. We highly recommend him. Fred thank you for the awesome 5 star review and I hope your Family Fun Fest was a great success! God bless you and Calvery Baptist Church and your ministry in Washington, Pa!!! Great Entertainment and a Fun Night! Daniel Jay brought a couple of his dummies (if that's the right word) including Fuzzball the Cat and Ziff. His comedy was great and his magic was very entertaining. He kept both the kids and the adults entertained. Highly recommended. His is one entertainer we will invite back for our next gathering. Lot's of audience participation and he even wrote some joke with the information I gave him about some of our people. Great time. Thank you Susan. It was a pleasure performing for you group and I had a great time! Thank you for leaving such an awesome review and I look forward to performing for your group in the future!! Daniel did a great job and would hire again ! Kathi thank you for the 5 star review! It was a pleasure performing at GULU Electrical Contractor's picnic. I had a fantastic time and your employees and their family were very responsive to my show. I'm glad you enjoyed it! The children were attentive and enjoyed the show. Donna thank you for the great 5 star review! I truly enjoy performing for your organization and hope everyone had a great time at the show! 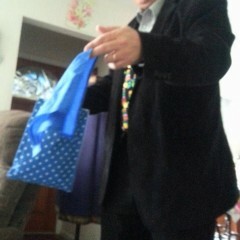 Daniel performed as a surprise for my dad for Father's Day privately with four of us with my mom & dad at their home. 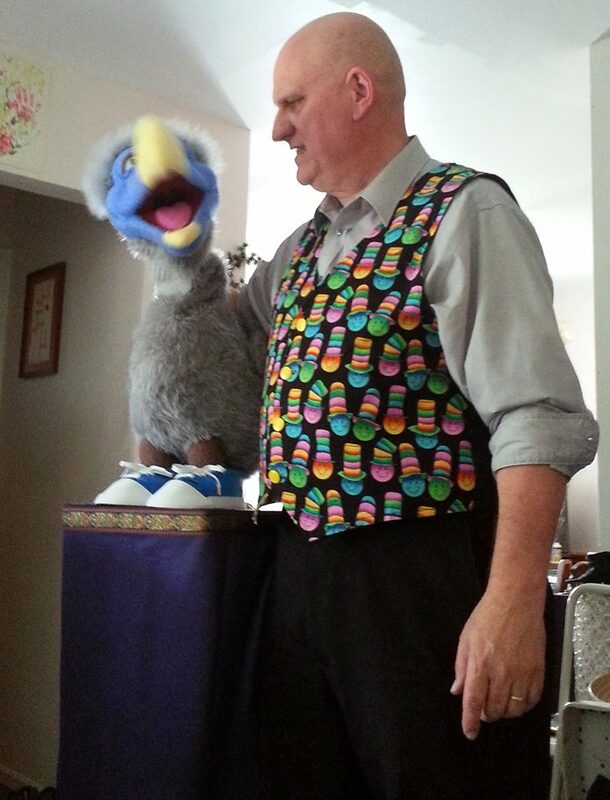 He was very entertaining with both his ventriloquism, his humor, and his magic tricks. It was a great day providing some up close memories for all of us that one rarely gets to experience. 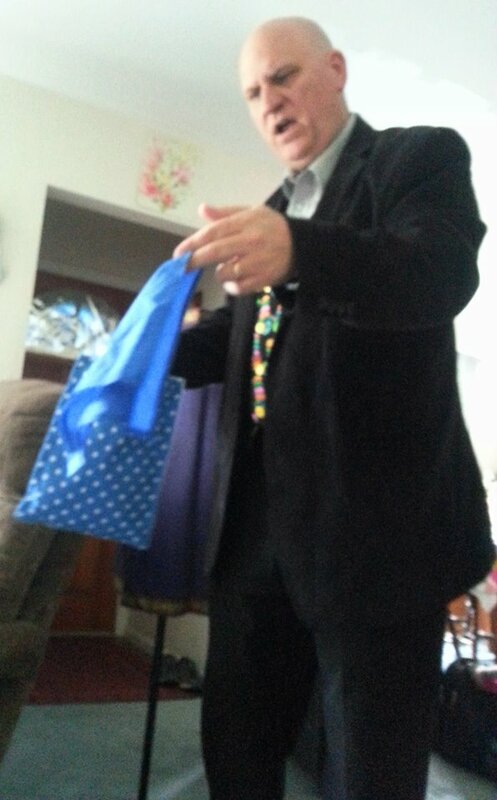 Daniel kept great communication, was punctual, set up quickly, and was very gracious with, and understanding of, my parents and their age(88yrs old). The ease with which he performed his talents while developing a genuine friendly rapport with them made it all the more enjoyable for them. His combination of characters and magic along with his added humor made the whole event very special. 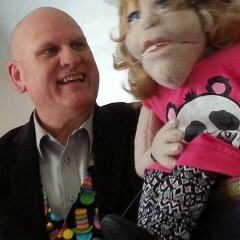 He also provided some interesting background and information regarding the art of ventriloquism along with keepsakes. A highly professional, very talented, class act which one should definitely consider if looking for this type of performer. There is none better! Jay, thank you so much. You are too kind! I had a fantastic time performing for you, your dad and the small audience that was there. An enjoyable and unforgettable experience. Thanks again for booking me and I wish you and your family all the best!! Daniel was easy to communicate with through e-mail. he asked for information about the audience in advance to plan his show. He arrived early, and stayed on schedule. At times he was difficult to hear (we had an audience of 300) so I would suggest he use a lapel microphone. This was a great venue with a lot of fun people. I used their PA system and they had a stand microphone. Next time I will bring my own system with a wireless microphone system. All in all though, a great audience and really good time! We hired Danial for our Blue and Gold cub scout event and he was a huge hit with not only the kids but the parents as well! Fuzzballs name was being chanted for an encoure and the kids wished he had never left. His witty dialog also kept the adults entertained and more then a few commented on him positively at the end of the night. His price was well worth the service we recieved and he made this years B&G the best yet for our troop. Daniel did a great job. He was funny and skilled as a ventriloquist and magician. I would recommend him to other churches. For an experience that your group will remember long after the event is over. Daniel Jay bring a lot of energy and audience participation to every show. 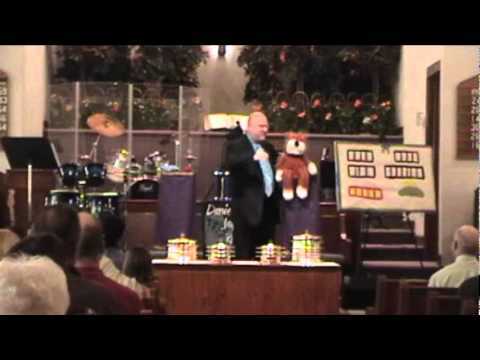 Below is a typical 1 hour Daniel Jay show for families. 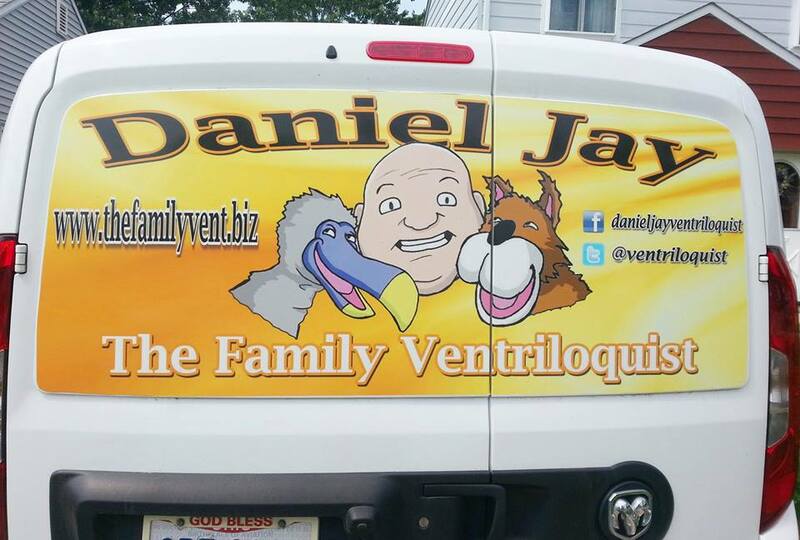 Growing up with Jimmy Nelson, Paul Winchell and Shari Lewis; Daniel took on ventriloquism at a very early age. One day while staying at a friend's house he got up early and ran across an album by Jimmy Nelson called "Instant Ventriloquism", he started practicing ventriloquism that day and never looked back. Ventriloquism got him in trouble more than once in class where, when a substitute teacher came in, Daniel would throw his voice and the teacher would yell at other kids. 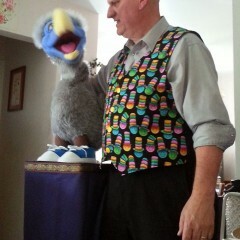 It was fun to see the others kids try to explain that Daniel was a ventriloquist and it wasn't them talking. One time in particular a teacher finally caught Daniel and made him stand out in the hallway, it just so happened that the principal was walking past and he saw Daniel and he just ask, "Throwing you voice in class again?" to which Daniel replied, "Yep! ", the principal just laughed and walked away. Shortly after, the principal got Daniel in the newspaper at the Warren Tribune. At 12 Daniel began performing and also became interested in magic. 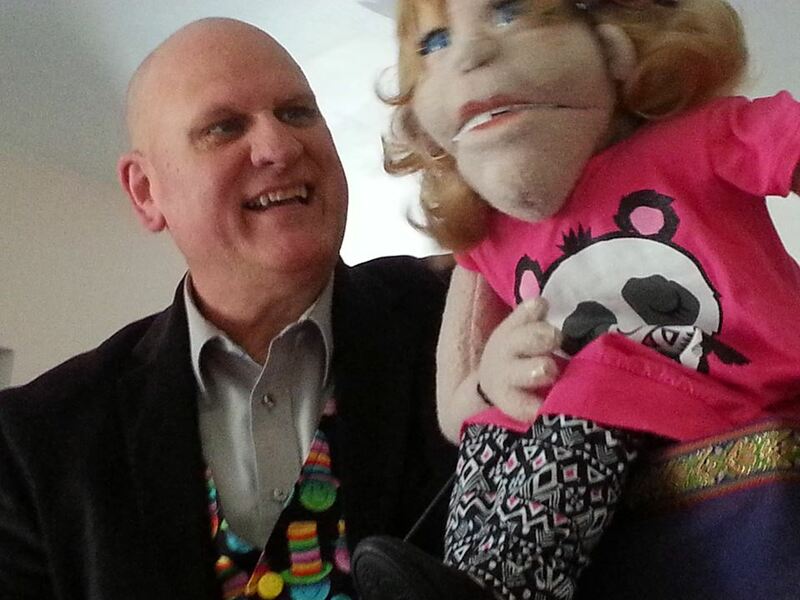 He has performed at many of the local comedy clubs and been to many of the ventriloquist and magic conventions. 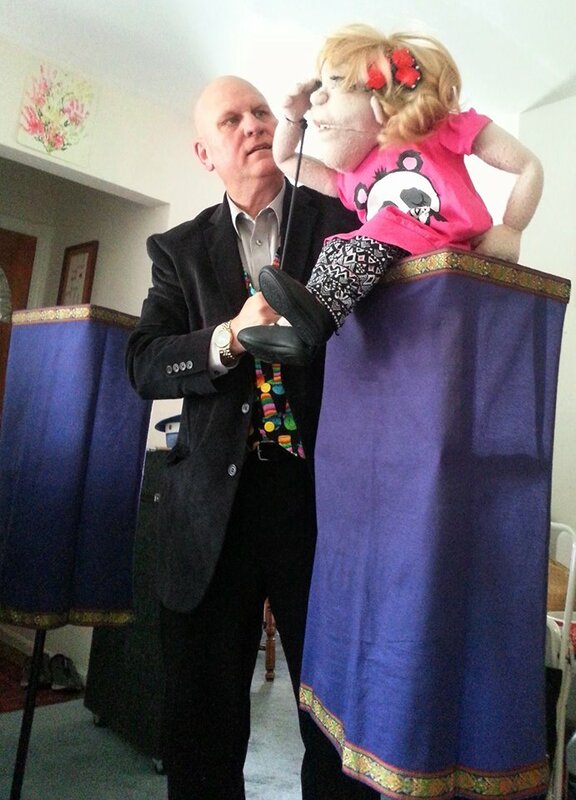 Daniel Jay is a member of the IVS (International Ventriloquist Society) and the SAM (Society of American Magicians) and is the winner of the 2019 Midwest Ventriloquist of the Year Award. Did you ever book an act and didn't have everything that the entertainer needed for their performance? With Daniel Jay there is nothing to worry about. 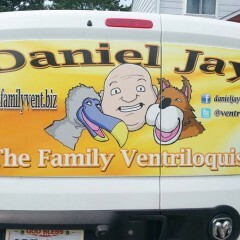 You simply provide the work area and an outlet and Daniel Jay provides the rest. We use our own sound system, mics, stands and more. Daniel Jay is a one man show that comes prepared with everything to perform his show! We do our best to arrive at least 1 hour early to set up and seldom need anything from the client. If you want a show that's WORRY FREE than Daniel Jay is the one for you. 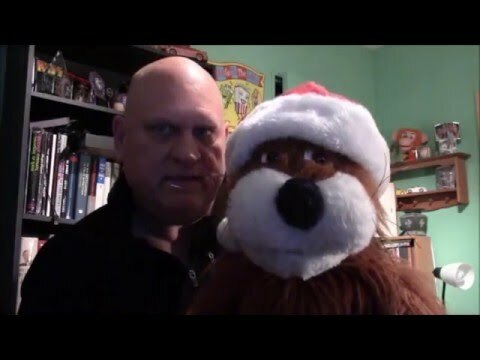 Daniel Jay runs a web site for ventriloquist called ventriloquist.org that helps him get in front of many of the great ventriloquist of today. Some of his influences are Jimmy Nelson, Paul Winchell, Jeff Dunham and Mark Wade.